As the All-China Federation of Trade Unions (ACFTU) gathers for its National Congress in Beijing this week, we examine the reform measures the union has implemented thus far. As the All-China Federation of Trade Unions (ACFTU) gathers for its National Congress in Beijing this week, we examine the reform measures the union has implemented thus far. The following is an English-language extract from CLB’s new report on the workers’ movement in China (中国工人运动观察报告2015-2017). For the Chinese original please see pages 31-34 of the report under the heading 全总改革的措施与成效. Since the approval of the All-China Federation of Trade Unions’ Reform Pilot Program by the Chinese government in November 2015, no complete copy of the document has ever been made publicly available. A thorough search on the internet will only land on references to the Program in speeches and interviews given by union officials. Not even lower level and local union officials have access to the document, instead they have to rely on top-down instructions quoting from it. All the other documents issued by the same body, the Central Comprehensively Deepening Reforms Commission, have been made public, so one cannot help but wonder why the ACFTU decided to conceal its reform program from public scrutiny and who within the organization made that call. Given the secrecy surrounding the document, it would perhaps not be an exaggeration to say that this reform initiative stumbled before it even got out of the starting gate. The ACFTU first deputy-chairman, Li Yufu told the press on 25 November 2015 that the focus of the then new reform initiative was to “eliminate the four impediments” (namely regimentation, bureaucratisation, elitism and frivolousness) in the ACFTU’s work, and “increase the three attributes” (political consciousness, progressiveness, popular legitimacy) of the ACFTU. The measures comprised reforms to the organisation, management and operational systems, as well as the core activities carried out by the union. In terms of management, the ACFTU sought to broaden the experience of local officials within the organization so that they would better understand the needs of workers at the grassroots. The ACFTU also emphasised strengthening the work of grassroots unions under the slogan “balancing downwards and strengthening at the base,” creating new unionisation models in industrial zones, construction sites, logistics (particularly express delivery) companies, domestic service providers, agricultural cooperatives and social organisations. These models included ad-hoc, local, sectoral and subsidiary union building initiatives. In order to reach increased membership targets, the ACFTU implemented online and mobile application membership registration methods. Trade unions at different levels poured more resources into grassroots unions, for example, by reassigning redundant union officials to county-level union branches and by increasing the percentage of the budgets designated for local and enterprise trade unions. In conducting its activities, the ACFTU focused on promoting “Core Socialist Values” among workers through a variety of propaganda tools, it organised activities centered on the “Spirit of the Craftsman” as well as workers’ skills competitions. The union also implemented measures designed to enhance its ability to protect workers’ rights, particularly migrant workers in need of legal assistance. 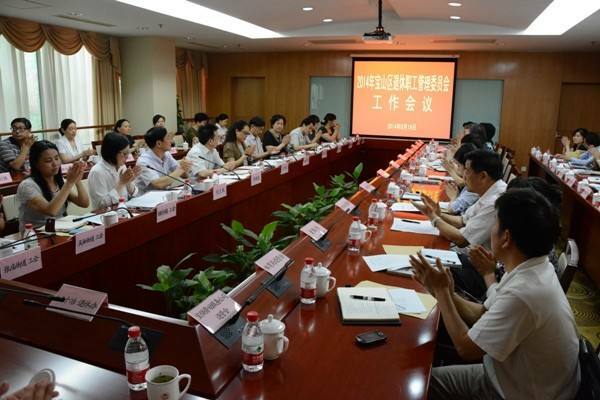 In July 2016, the Shanghai municipal trade union directed the local union in Gucun, a township in the Baoshan area of Shanghai, to implement a series of policies aimed at overcoming challenges to organizing in the local private sector. Instead of sticking rigidly to traditional modes of organizing, the Gucun union decided to reach out to non-union members and prioritize attracting new members before building up the organizational structure. The Gucun union claimed, in the end, to have established enterprise unions in more than 90 percent of local private companies and had a township union membership of 86 percent. To comply with top-down demands to increase the quality of its work online, the ACFTU held a meeting in the central city of Yichang on 27 September 2016 to discuss Internet Plus and online union services. This meeting concluded that, in order to provide workers with a more convenient and faster service as well as facilitating membership expansion, the ACFTU needed to focus on: strengthening its online presence, creation of a comprehensive database on the union’s work and membership information, promotion of real-name registration and creation of a service management system, integration of the union’s online presence (website, Sina Weibo, Wechat, mobile applications) and the development of online membership application channels. Pilot projects for online membership were quickly launched in Shanghai and Chongqing. Again, in compliance with top-down Party directives, union membership efforts placed more emphasis on recruiting workers from outside the traditional manufacturing sector. The ACFTU demanded that union branches at all levels focus on increasing migrant workers membership in construction, logistics and domestic services. This union membership expansion initiative even reached previously untapped sectors such as property management, sanitation workers, security guards and car dealerships, as well as small-scale and self-employed operators such as street vendors and recycling operators. In order to adapt to the array of relatively new employment relations models outside the traditional manufacturing sector, the union adopted multiple alternative strategies for organizing, namely ad-hoc, local, sectoral and subsidiary union building approaches, effectively establishing union federations in villages, residential and industrial zones, even individual streets and buildings. The ACFTU’s slogan for the improvement of the collective consultations was: “Party leadership, government engagement, union impulse, multi-party cooperation, popular participation.” In practice this means that local level unions hired “collective consultation trainers” to provide guidance and assist in the process of reaching collective agreements in enterprises; meanwhile, local governments included collective agreement coverage statistics in their periodic performance reviews of public officials. The protection of workers’ legal rights has long been the focus of the ACFTU’s work and several pilot programs addressing the issue have been implemented in recent years as part of the union reform initiative. Firstly, the union vowed to increase the quality and efficiency of its work via collective consultations both geographically and sectorally; second, broaden democratic management, push for new legislation and the enforcement of laws and regulations relevant to workers’ interests, and implement the tripartite system of dispute resolution, thirdly, increase the precision of services and assistance provided to workers in need, and finally, prioritize the union’s work according to the actual needs of workers so as to ensure that their labour rights are all properly protected. As part of its trade union reform pilot program, the Shanghai municipal trade union created a new all-in-one union platform for workers’ rights protection encompassing legal assistance, enforcement of union and labour laws, collective consultations and democratic management; with the stated goal of providing workers with “all the assistance they need when needed” with “no conditions or excuses.” The Shanghai workers service telephone hotline was expanded to operate 24 hours a day, seven days per week, as were a range of online services. In Chongqing, the union set up a five-million-yuan fund to better offer emergency assistance to workers, it also hired lawyers to offer legal services to workers and expanded its online services.